Low vibration STIHL saw chain for entry level users. 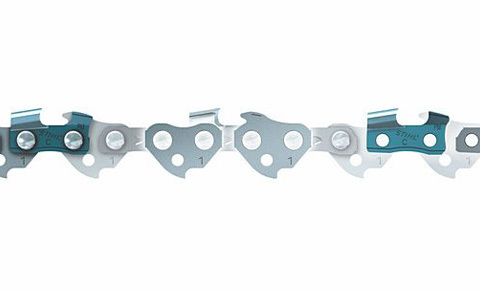 Robust, low kickback and hard-wearing saw chain with notably high cutting performance thanks to an extremely narrow kerf of the slim, straight-sided tooth. Required File size 4.0mm / 5/32"